There are two reasons I like walking out of the door to my den today. One, I have a new garden there that I would never have dreamed could be possible. I think I wrote that I had three new iron arches in hopes of smothering them with climbing roses. The arches have been in place since April when the roses arrived via mail, well UPS, I think. Pretty soon afterwards, the deer let me know that the roses might not work. But, I'm glad to report that on two of the heavy iron arches, the Confederate jasmine is growing beautifully. In May, the fragrance was wonderful. But one arch is up against a special tea olive. If I were to get up out of my chair and open the French door next to my desk, I would be greeted by the heady fragrance of the plant pictured above. I had thought it wasn't going to bloom this year. There had been one open flower a couple of weeks ago, and I thought the shrub (now 10 feet tall, at least), had bloomed early and something had gotten to the flowers. However, a couple of days ago, as if by magic, I looked, and there were hundreds of tiny orange buds. Now, on this day, a lot of the flowers are open. In the mornings and evenings, you can even walk out of the front door and catch the lovely scent. Erica Glasener, who was the host of A Gardener's Diary on Home & Garden Television, gave me the plant. Shamefully, I let it live in a one-gallon pot for years. Finally, the plant took root where it was sitting, and burst forth from its shackles to root in the ground. I love its dark, evergreen leaves, so even if the bloom time is only a few short weeks, the plant itself is beautiful. I now have two other white-flowering tea olives in different places. I had given up on their blooming this year, but I need to check on them. Maybe the buds have appeared along the stems, as well. This is Osmanthus fragrans var. aurantiacus. If you visit the Atlanta Botanical Garden at this time of the year, you'll catch its intoxicating perfume at the entrance. The plant might be hard to find, but if you do run across it, you should definitely grab it. I'm so grateful to Erica for this gift. She's such a knowledgeable horticulturist and plantswoman. And, now that I have the second part of the new garden (pictures will follow at some point), this fragrant tea olive looks even more beautiful and stately. If you feel your garden is on the wane in September and October, you could add tea olives and Camellia sasanqua. This latter plant I bring up, because the fall flowering evergreens are featured in the book I finally finished just this week. 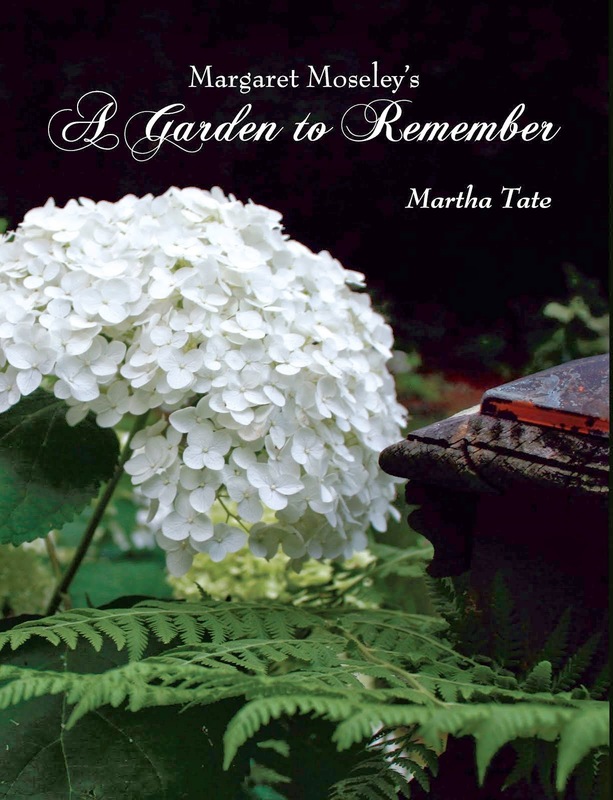 Margaret Moseley's A Garden to Remember will be introduced at the American Hydrangea Society meeting on October 22, when the hard cover edition will be ready. Margaret, who is 97, will be on hand to sign books. That's the reason I've been AWOL on this blog, and I apologize. It was a lot of work, but a real labor of love. I am absolutely thrilled about this tribute to Margaret and her magical garden. Much more later on this subject. I have the orange sweet olive too. I haven't seen buds on it but it has been so incredibly dry this summer. We just got about 1 1/2" inches of rain yesterday so maybe it isn't too late to bloom. I think I am going to go ahead and buy the book. I would love hard cover but I am so anxious to read it, I don't know if I can wait.